Switching to Linux is easy if you know how to run Windows applications on it. For many users considering switching to Linux the biggest hurdle is a question of whether they can find a suitable replacement for their favourite Windows applications. While sites like LinuxAppFinder list hundreds of open source application alternatives it's not always as straight forward as that. 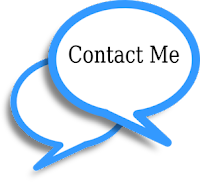 Many users are bound, for one or other reason, to using a particular application, be it because there is no way to convert existing data or because company policy demands they use a particular application. Fortunately there are a number of ways to run a good deal of Windows applications on Linux. 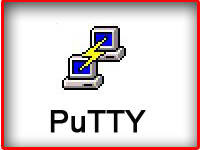 Wine stands for "Wine is Not an Emulator" and is one of the most common methods of running Windows applications on Linux. Wine is available in most popular Linux distributions and as its name says, it is not actually a Windows emulator but is able to run Windows applications. Unlike virtualisation software Wine doesn't require that an existing copy of Windows is running to be able to run applications. Wine is basically a loader than executes a binary and a library that executes Windows API calls in a way that Unix and Linux can understand. Wine is very capable today and can run a wide range of Windows applications including Office, Photoshop and just about all current games. The Wine site maintains an extensive database of applications that can be run on Linux with instructions of how to set them up. Although Wine runs many popular Windows-based games, if you're serious about gaming then it's worth looking at Cedega, otherwise known as Transgaming. Cedega is a commercial version of Wine (originally called WineX) with a strong focus on gaming. It is a subscription service and provides a frontend to Wine with additional scripts to get games up and running quickly. Originally Cedega offered one of the best ways to run games on Linux but of late Wine has made such progress that Cedega's value is diminishing. Nevertheless, for certain specific situations Cedaga could be the answer. Formerly known as CrossOver Office, CrossOver is a collection of four commercial applications that allow Windows applications to run on Linux, Mac OS X and Solaris. The four are CrossOver Mac, CrossOver Linux, CrossOver Games Mac, and CrossOver Games Linux. The Linux standard version costs $39.00 and the professional version $69.00, which is not too hefty a price tag for something that can run applications such as Microsoft Office, Project, Dreamweaver, Photoshop, Quicken as well as many other applications. 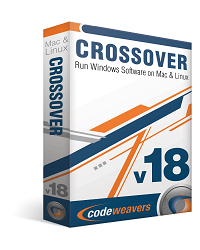 The CrossOver Mac, Linux and Games editions are designed for desktop use while the CrossOver Server edition allows Windows applications to run in thin client environments.